Seems like Lyca Productions, the makers of upcoming Shankar film 2.0 are leaving no stone unturned to release their film as the most awaited Indian film of the decade. Produced by a whopping budget of Rs. 450 crore, the Rajinikanth, Akshay Kumar starrer is tipped to be the costliest Indian film ever made till date. 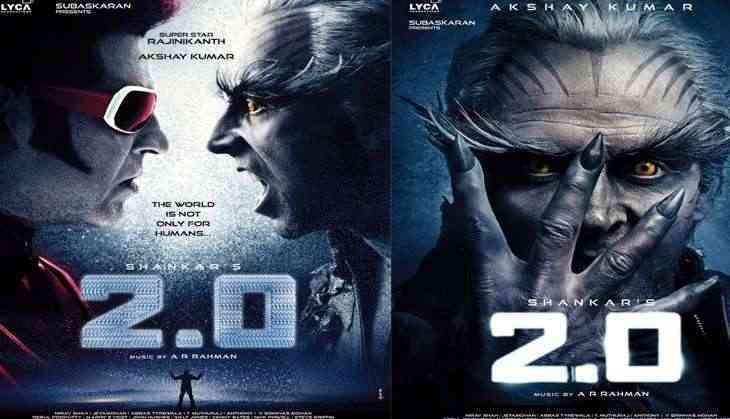 On Saturday, the makers of 2.0 had revealed that they will release the film in April 2017. And now, according to Tamil media reports, 2.0 will have VFX from 11 visual effects studios, Yes, You heard it right! 11 studios across the world. Reportedly, 11 top visual effects studios have been working on the Rajinikanth, Akshay Kumar film. The chief visual effects supervisor of 2.0. Srinivas Mohan along with Tau Films Animation & Visual Effects Studios are monitoring the VFX works of the film. 2.0 also stars Amy Jackson, Adil Hussain, Kalabhavan Shajon and Sudhanshu Pandey.